Men armed with hammers assaulted a man during a burglary in east Belfast last night. 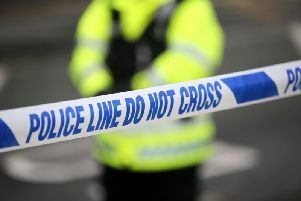 The men went into a flat at Abbey Park sometime between 8pm and 8.30pm. Police say they forced their way into the property and assaulted the male occupant with hammers. A PSNI spokesperson said: “The 34 year old man was treated in hospital for injuries to his head and legs. Detective Sergeant Gardiner is appealing for anyone who witnessed the incident or anyone with any information that can assist with the investigation to contact detectives at Musgrave on 101, quoting reference 1241 26/10/18.